Why did I receive a new ATM card? 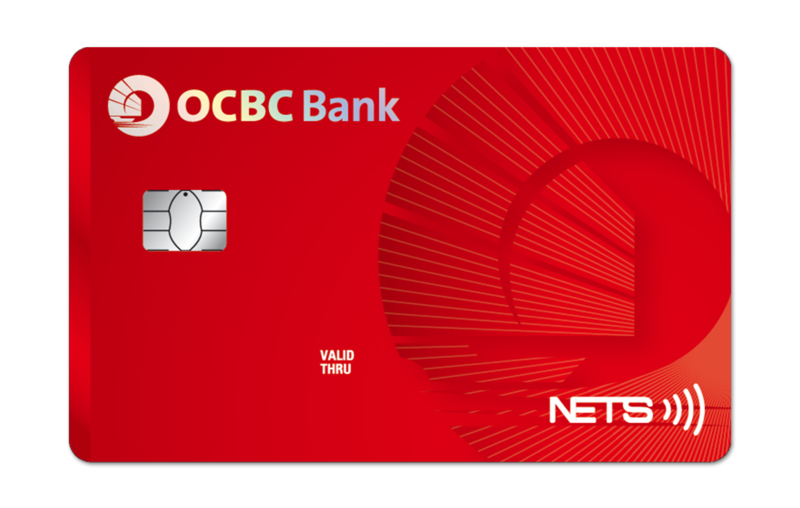 To ensure your banking experience with OCBC Bank is not disrupted, a new ATM card will be sent to you up to 1 month before your current ATM card expires. Your new ATM card is valid for 10 years. Below is how the new ATM card looks like. What is the validity period for my new ATM card? Your new ATM card comes with 10-year validity period. Why do I have to activate my new ATM card? For added security, we require our customers to activate any card that they receive from us. For your easy reference, please refer to the card mailer to see how you can activate your new ATM card, or refer to question 4. How do I activate my new ATM card? How do I get a refund of my NETS FlashPay balance? If your card has already expired, please contact the NETS Call Centre hotline directly for instructions. What do I do with my old ATM card? Your old ATM card will be cancelled after you activate your new ATM card or once it reaches its stated expiry date, whichever comes earlier. Please shred old card into pieces and dispose it. Will the new ATM card retain all the existing features/settings? Yes. Your new ATM card will retain all the existing features/settings. Can I use the new ATM card to withdraw cash overseas? Yes. You can activate this service instantly via OCBC Online Banking (Internet or Mobile), SMS Banking, and Service Kiosks (at select branches). Please visit the Overseas ATM cash withdrawal FAQs for instructions (under Activation/ deactivation of cards for overseas ATM withdrawal). If you have already activated this service, there will be no interruption to you for the already activated duration of your old card. A new PIN for your new ATM card will be mailed to you within 5 to 7 working days after you activate your card via Online Banking. I have multiple accounts linked to my ATM card. What will happen to my accounts? What should I do if my NETS FlashPay ATM card is lost / stolen? You will need to call both the following hotlines to report loss of your card immediately. 2. NETS Customer Service hotline: 6274 1212 (Mon to Sat: 9am to 7pm, Sun & Public Holidays: 10am to 7pm) - To deactivate the NETS FlashPay function on your ATM card. Can I get a refund of my NETS FlashPay stored value if my ATM card is lost / stolen? You may contact the NETS Call Centre hotline directly and report loss of your ATM card where the agent will provide you with the administration form to complete. The NETS Call Centre personnel will credit the card balance into the debit account you state on the form. I have more questions on the NETS FlashPay facility. Who should I call? You may call the NETS Customer Service hotline at 6274 1212 if you have more enquiries regarding NETS FlashPay or visit the NETS FlashPay website at www.nets.com.sg. How do I get notified for transactions done on my ATM card? We will send you an SMS notification alert when a transaction that exceeds $1000 (default amount if you did not change the amount) is deducted from your account. This alert serves as a fraud prevention measure. If you did not authorise the transaction, please contact us immediately. How do I change the SMS notification settings or default amount? (iii) Visit our OCBC branches.